Today marks the birthday of John Singer Sargent in 1856. So I thought I’d share one of my favorite works of his, Dame Ellen Terry as Lady Macbeth. 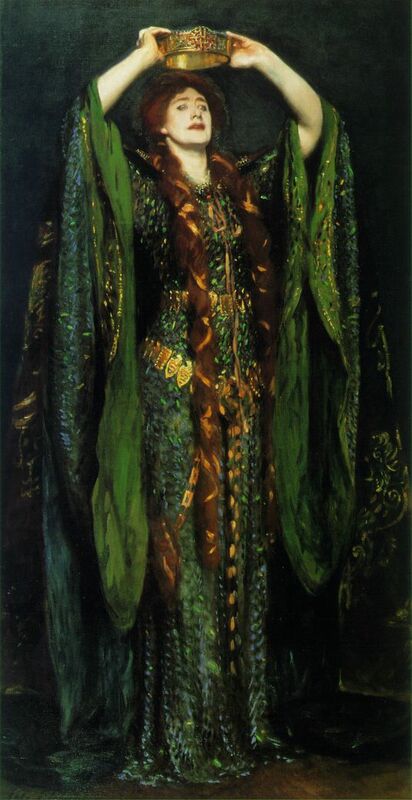 Victorian actress Ellen Terry fascinates me and in a previous blog post about her memoirs, I shared her own words on the Lady Macbeth costume, which I will also include here. It is her role as Lady Macbeth that captures my attention. For one reason and one reason alone. Her famous beetle-wing dress. 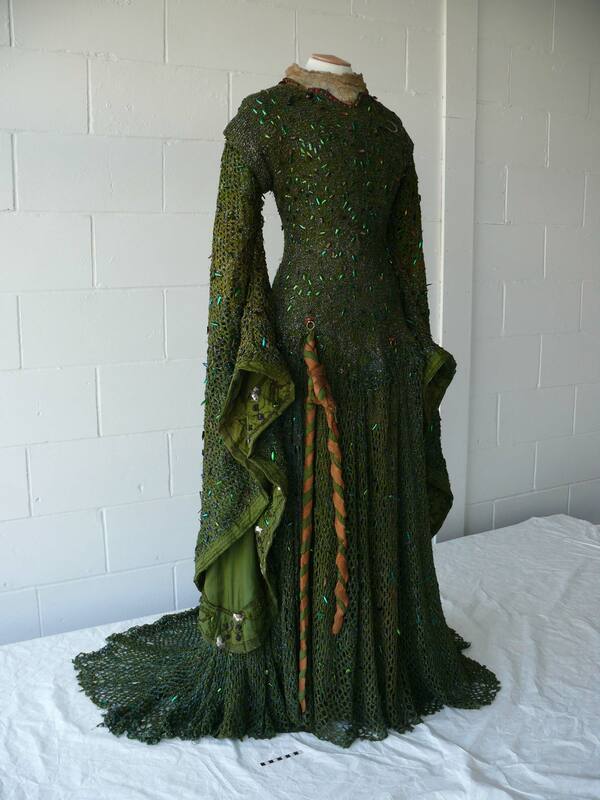 Ellen Terry’s ‘Lady Macbeth’ dress prior to restoration. 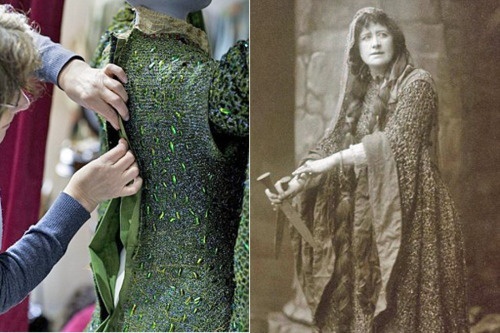 When it came to costuming, Dame Ellen Terry paid attention to the smallest detail. Her desire to create a gown for Lady Macbeth that would have a shimmering, serpent like appearance led to the design of this gown. It’s iridescent green comes from thousands of beetle wings, a fragile affair that was recently restored. Right: The gown during restoration. Left: Ellen Terry as Lady Macbeth. “His view of “Macbeth”, though attacked and derided and put to shame in many quarters, is as clear to me as the sunlight itself. 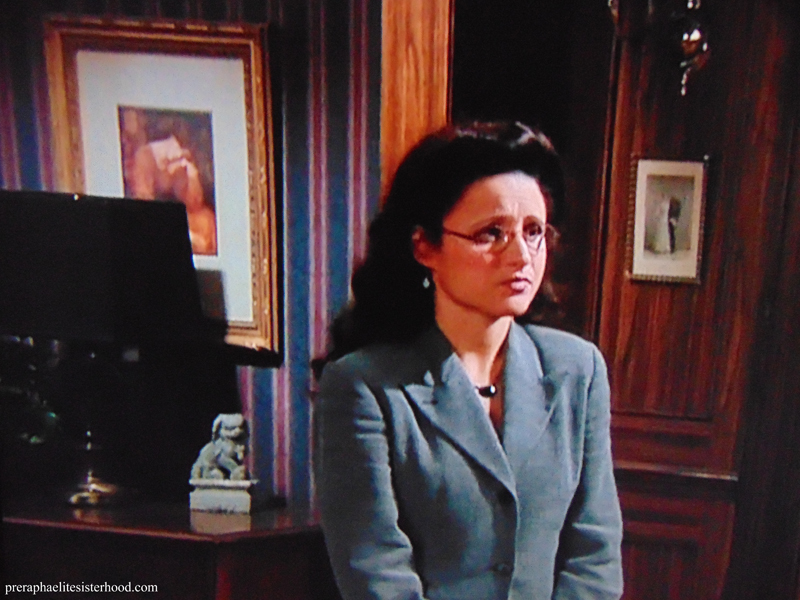 To me it seems as stupid to quarrel with the conception as to deny the nose on one’s face. But the carrying out of the conception was unequal. When I think of his “Macbeth”, I remember him most distinctly in the last act after the battle when he looked like a great famished wolf, weak with the weakness of a giant exhausted, spent as one whose exertions have been ten times as great as those of commoner men of a rougher fiber and courser strength. 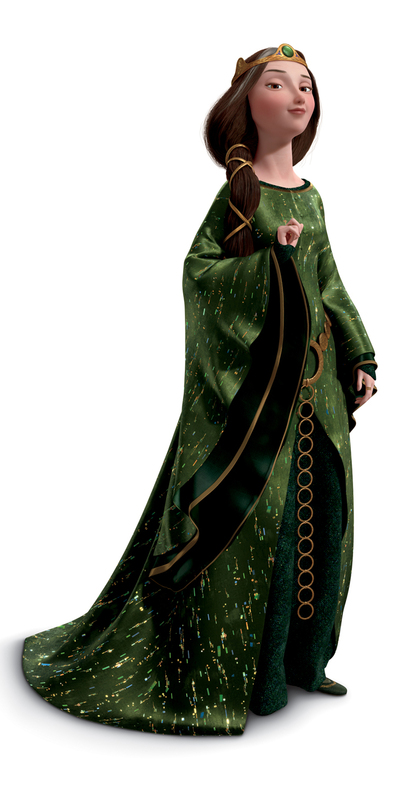 ‘Queen Elinor’ in Pixar’s Brave, voiced by Emma Thompson. What a dress! And what a painter!